There are more than 40,000 varieties of rice but only a few varieties are familiar to most of us. Black rice is one of them. The term ‘black rice’refers to a variety of rice types of the rice species Oryza staiveLindica, which is mainly cultivated in Asia.Its name comes from the black color of the pericarp of the rice kernel due to the presence of a pigment known as anthocyanin, a powerful antioxidant observed in fruits such as blueberries and blackberries. Black rice is also known as purple rice, forbidden rice, heaven rice, imperial rice and king’s rice. Black rice is considered as a panacea for many culinary diseases because of its high nutritive value and curative effect. For this reason, it was also known as a ‘long-life’ rice, the rice can enhance the longevity of life. 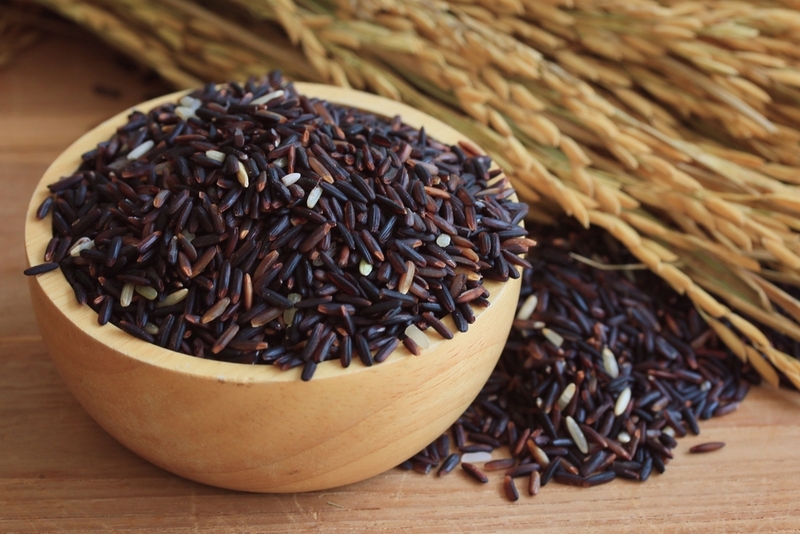 Black rice is a special breed of rice that is cultivated on earth. Black rice turns a beautiful, shiny indigo when cooked. Its flavor’s is richer and sweeter than white rice and its texture is slightly sticky. Similar to brown rice, black rice also comes in a number of short grain, long grain and glutinous varieties. The price of black rice is five to ten times as expensive as normal white rice. Nevertheless, demand for the black rice is growing fast in the USA and European countries due to its value as a healthy food and its attractive organic food color. Research shows that black rice is considered as the twenty-first century super food. 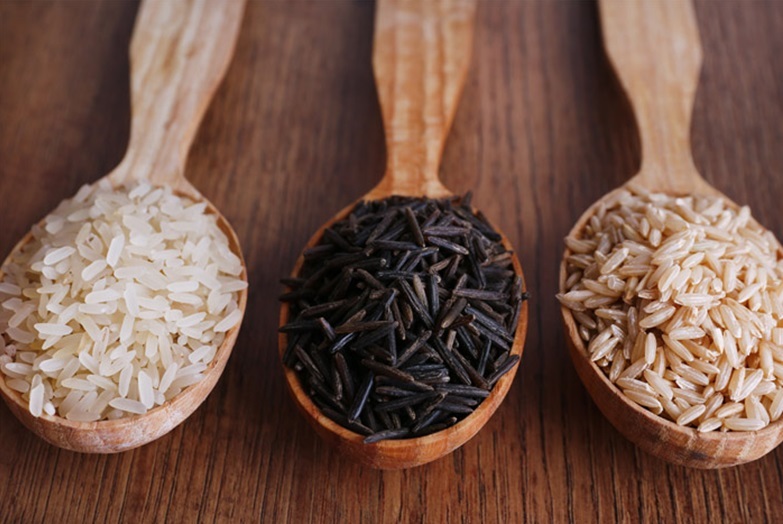 There exists no other rice with a higher nutritional spectrum near black rice. This rice is getting popular in recent years because of its nutritional values. Black rice has higher contents of protein, minerals (Ca, P, Fe and Zn) and dietary fibers than brown or white rice. 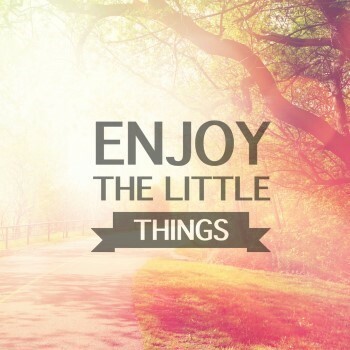 It is also free of gluten, free of cholesterol, low in sugar, salt and fat. 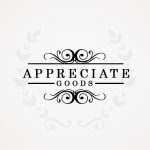 There is a growing demand for black rice in the USA and European countries due to its values as a healthy food and its attractive organic food color. 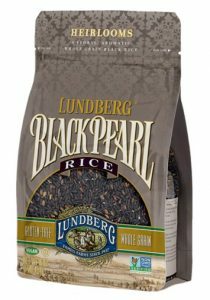 Black rice is the very kind of rice grain that is fully packed with nutrients. It is known as a healthier alternative to the white rice. Nutrients such as protein, minerals (Ca, P, Fe and Zn) and dietary fiber contents are higher in black rice compared to brown and white rice. Here is the comparison of the nutritional values of different types of rice to show why. Black rice was reported to be a rich source of antioxidant: two-fold stronger than blueberries and six times higher than the regular white rice with respect to antioxidant activities. 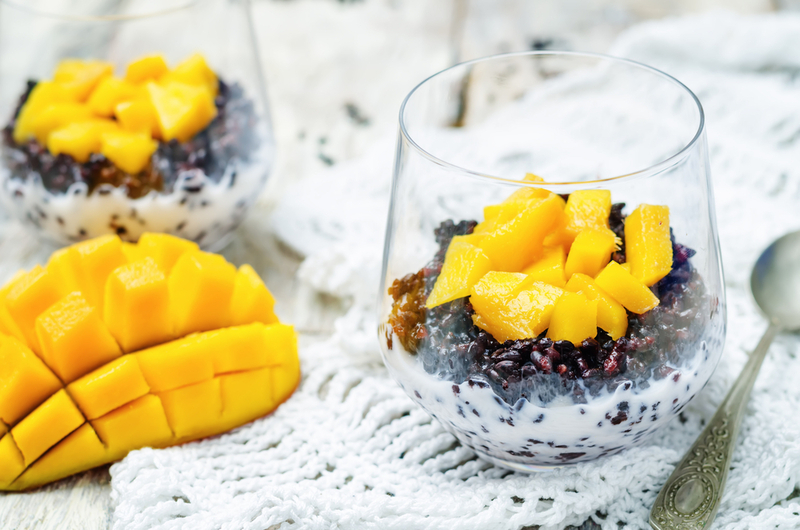 As according to the American Chemical Society 2010 report, one spoon of black rice contains the same amount of anthocyanin as a spoon of fresh blueberries. 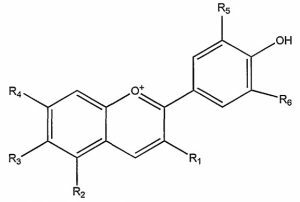 This is attributed to a large amount of anthocyanins contained in its aleurone layer. Anthocyanins are flavonoids that perform as antioxidants in the body. The anthocyanin components in the black rice are about 26.3%, of which cyanidin-3-glucoside and peonidin-3-glucoside are 90%. Apart from anthocyanins, black rice is rich vitamin E which present in the bran. Antioxidants of the black rice mop up harmful molecules in the body and help to protect arteries and prevent DNA damage. 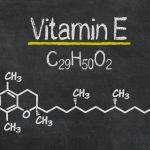 It reduces the concentrations of reactive cell-damaging free radicals. 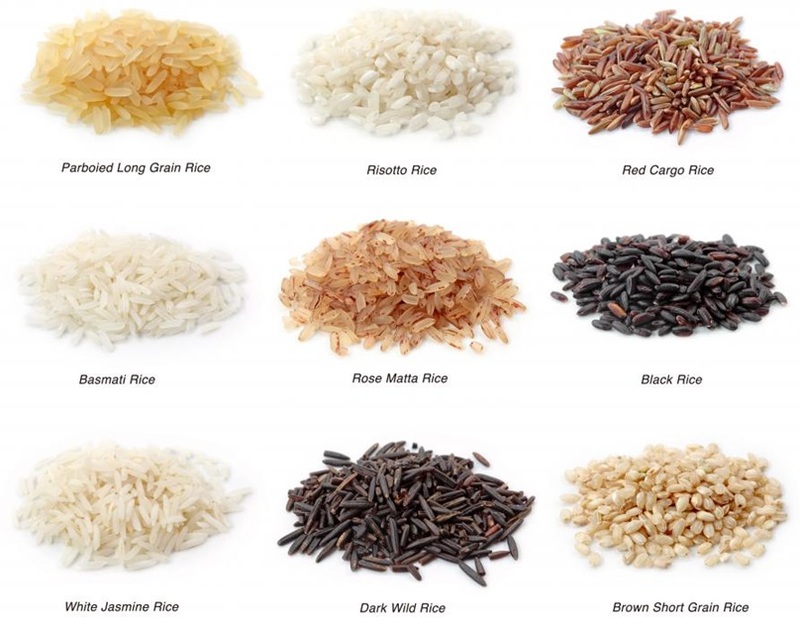 Compared to the white rice, black rice is relatively rich in the mineral contents such as Fe, Zn, Mn and P and has higher variability in mineral contents that depend upon varieties and soil types of the planting area. Because of the rich content of iron, black rice is especially beneficial for people with iron deficiency anemia. The zinc content of black rice provides faster growth in children and builds a stronger immune system. It is approximated that 1 in 7 people is sensitive to gluten but still test negative for celiac disease. People with gluten sensitively suffer most of the same symptoms as individual with celiac disease, including bloating, constipation, and diarrhea. Black rice naturally contains no gluten. Consuming black rice might help remove digestive problems related to consuming gluten for most people. The antioxidants found in black rice have been linked to a reduced risk of heart disease. Oxidative modification of the low-density lipoprotein (LDL) plays a major role in the development of atherosclerosis. 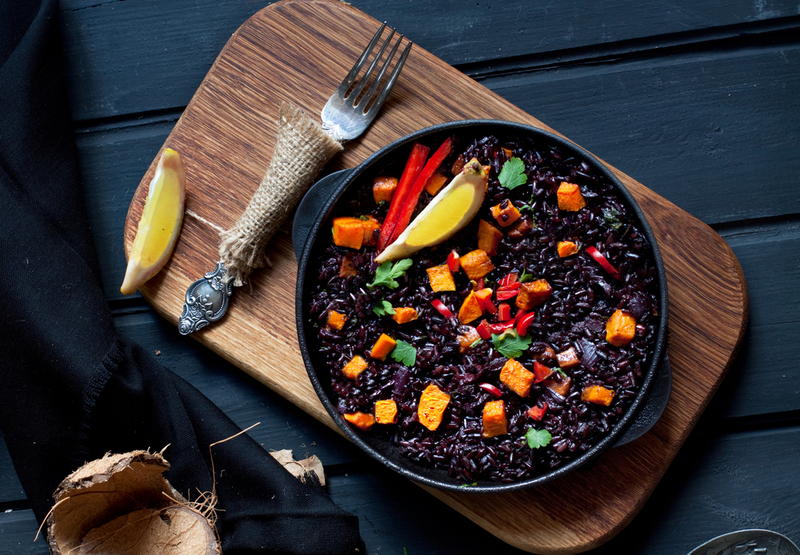 The high antioxidant content of the black rice is able to prevent the oxidative stress. A recent study showed that anthocyanin supplement in human improves LDL and HDL. Besides, the rich content of iron, vitamin A and vitamin B are beneficial for overall health and the present of heart disease. The inhibition of digestive enzymes using plant-extracted enzyme inhibitors is one of the most promising methods for treatment of type II diabetes. Anthocyanins from the black rice has attracted substantial interest due to its anti-diabetic effect. 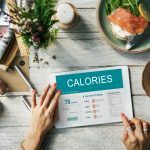 Recent studies reported that anthocyanins had an inhibitory activity against digestive enzymes including alpha-glucosidase and alpha-amylase, which help suppress the increase in the postprandial glucose level from starch digestion. The rich antioxidant content of black rice helps to decrease the risk of cancer. 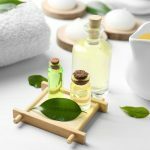 Research suggests that plant antioxidants eliminate the reactive free radicals in the body and prevent the DNA damage that leads to cancer. 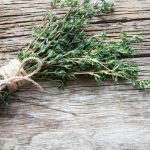 Inflammation has been a subject of significant research interest in recent time because of its heavily involved in the development of chronic diseases such as diabetes and heart disease. The anthocyanins in black rice as antioxidants can inhibit inflammation throughout the body. A study on the effectiveness of both black rice and brown rice bran against skin inflammation showed that black rice suppressed inflammation while brown rice did not. 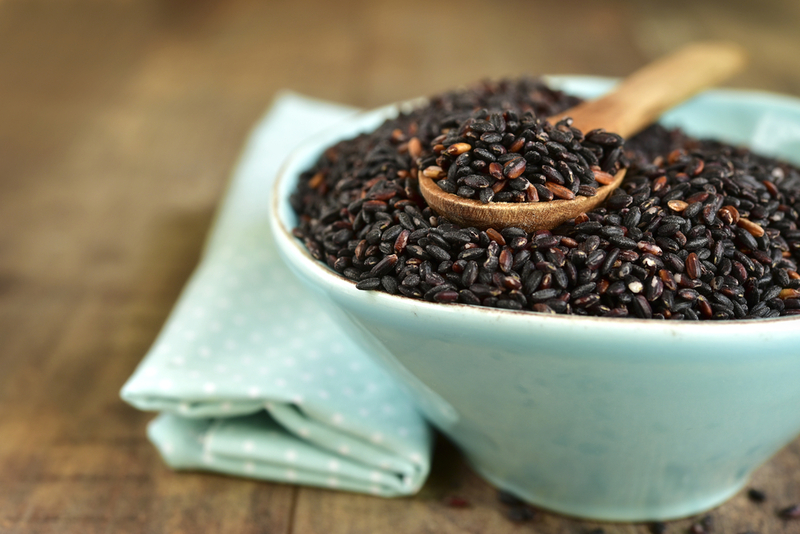 There are accumulating evidence suggests that black rice might be a therapeutic agent for treatment and prevention of diseases associated with chronic inflammation. The oxidative stress leads to memory impairment. The main antioxidant, anthocyanin in black is known to improve the cognitive function. 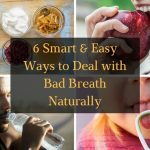 A six-year study over 16000 patients found that eating anthocyanin-rich food can delay mental aging by up to two and a half years. Anthocyanins were shown to not only slow down the aging process but also improve the learning and memory abilities. Black rice contains 2-3 g fibers per half cup serving. The fibers in black rice promote the movement of the foods through the digestive system and increase stool bulk. Consumption of black rice as part of the staple food helps people to avoid constipation, bloating along with other unwanted digestive problems. Black rice is rich in fibers and low in calories. The dietary fibers of black rice delay the gastric emptying and increase the satiety, leading to the prevention of overeating and reduced food intake. All these benefits make black rice a good choice of staple food for those on a diet. The anthocyanins in black rice safeguard the eye from degenerative issues related to the eyes, including cataracts, macular degeneration and vision problems. The high antioxidant content of black rice is effective in protecting the skin from sun damage and aging. The protein of black rice help maintain skin firmness and restore skin elasticity. There are no known side effects of consuming black rice so far. It is nutrient rich, low fat, source of long lasting carbohydrates and is tasty and versatile. But just like any other types of rice, moderate consumption of black rice as a staple food is always recommended. 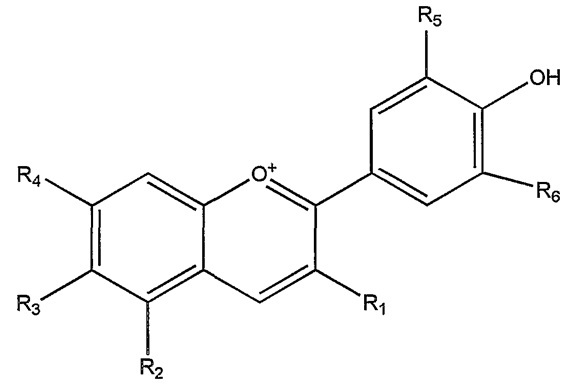 Extract of black rice is a natural food coloring. The name of “Imperial Rice” and “forbidden rice” mean the black rice was reserved for the emperor’s consumption only. Black rice was used to fight against grey hair in traditional Chinese medicine. Longer cooking time and more water are required to cook black rice as compared to the white rice. Soaking the black in water for at least one hour before cooking help to produce tender rice. Black rice has a short shelf life. It needs to be stored under refrigeration and use within three months. Black rice has a long history of cultivation in Southeast Asia countries such as China, India and Thailand. It is a major cereal crop existing since ancient times in China and other Eastern Asia countries. 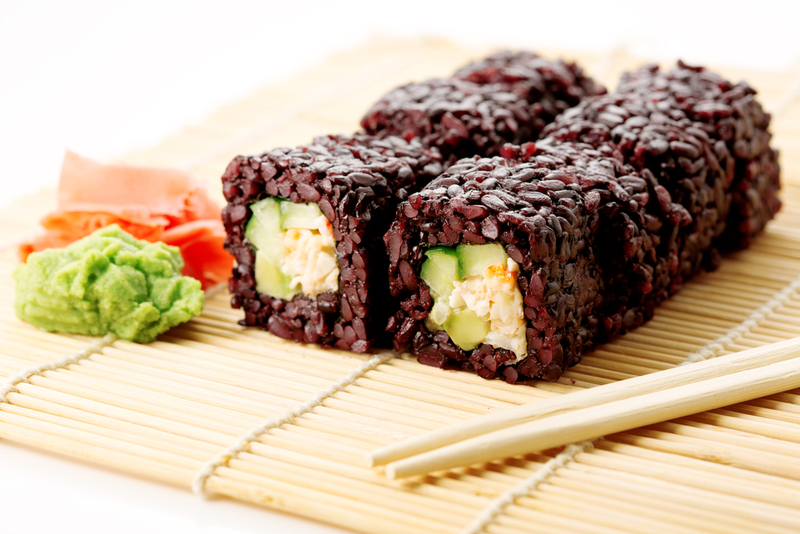 Black rice has long be consumed in Korea, Japan and China for thousands of years. It has a significant history of use in China. This is because black rich has dual functions, i.e. a staple food with good taste and fragrance, and an effective medicine to cure illness. 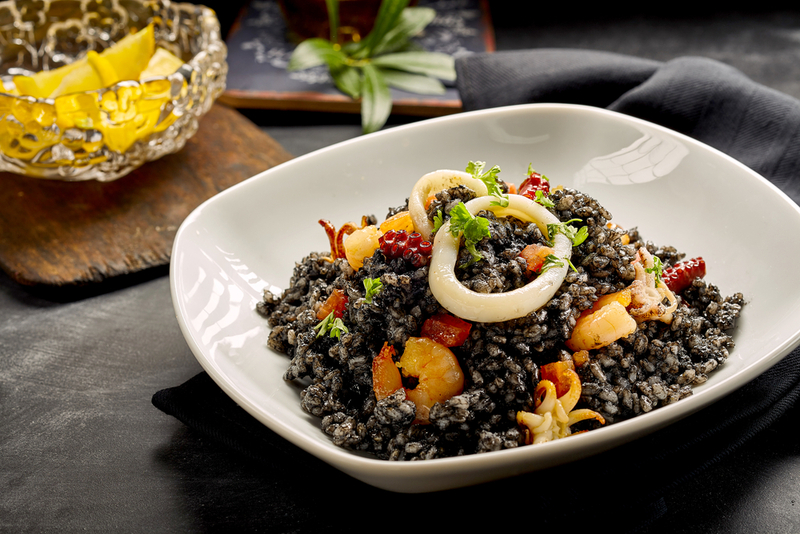 Black rice had been highly treasured and protected in Asia for many centuries. In ancient China, this crop was only grown in very limited quantities and strictly reserved for the royal and elite class. The common Chinese people were forbidden to grow or consume this black forbidden rice. But the consumption of black rice is more common worldwide nowadays. Black rice was introduced to the United States in 1995. Today, the forbidden rice is never forbidden anymore, but it is still grown in a relatively small amount as compared to the other types of rice. There are over 200 types of black rice varieties in the world. China is responsible for 62% of global production of black rice and it is developed more than 54 modern black rice varieties with high yield characteristics and multiple resistances. Sri Lanka, Indonesia, India and Philippines are the following major producer of black rice. This rice is not currently growth on a commercial scale in the US, Europe and other parts of the world. It is still a niche rice product, but its popularity is growing. Besides being sold as a whole grain, there are novel food products been developed such as the black rice pasta, to cater for the western market. I am farmer from India . I am growing Organic Black Rice . Have you demand of Black rice ? 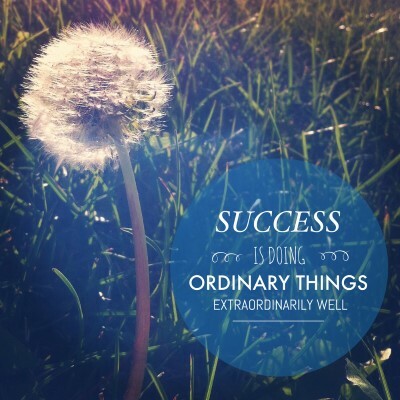 .my Facebook I’d farm land here .